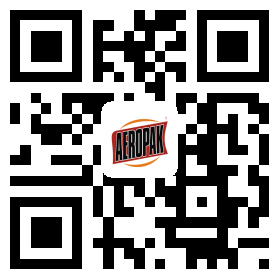 Aeropak Air Refresher is made of imported natural materials and pure water without stimulated alcohol. It can eliminate unpleasant odors and bring back fresh air in a second. Flavors available: lemon, orange, apple, rose, jasmine, lavender, peach, sandalwood, etc. It is ideal for house, car, hotel, restaurant, office and other public places. It is also a necessity for your room, which brings you fresh & happy or warm & relax mood. Feature 1. Super strong stickiness. Suitable for different cloth. Not be yellow or black. 2. High concentrations , cover area is large, viscosity is 1.5 to 2 times than the similar general spray adhesive.3. Low penetration,no pollution to fabrics;4. Within 60 minutes of operation time, more suitable for the nose embroidery machine, no need to repeat spray , improve work efficiency.5. no formaldehyde, according the export standards. Description:Kingjoin Super Spray Adhesive is a sort of solvent acrylic rubber bond with features of strong adhesion, large spraying area, and uniform spray adhesive Its economical, easy handling and of wide applications. It can be used for cloth, paper, board, plastic, metallic foil, soft wood and sponge. Captain Inverted Survey Marker is ideal for use in Law Enforcement for marking traffic accidents, incidents and crime scenes. Also ideal for marking out construction plans or identification of hazards and points of reference in temporarily unsafe areas or landscaping and construction zones. Suitable for almost any surface including bitumen, concrete, grass, soil, gravel, plants and timber. Unique upside down nozzles and spray through cap with fully incorporated trigger. i-Like Brand Chalk Spray is an environmentally friendly, chalk-based pigment spray with a unique rough chalk finish. It's safe and non-hazardous for outdoor temporary marking as well as for indoor studio artwork — making it perfect for all kinds of projects, event signage, advertisements, marketing campaigns, and even gardening and landscaping. Use i-Like Chalk Spray on a variety of surfaces such as canvas, posterboard, metal, glass, cement, brick, and more. Offering strong color power and high coverage, it dries to a deep matte finish. i-Like Chalk Spray can also be permanently sealed with varnish when used for indoor projects, on materials such as canvas or cardboard. Depending on weather conditions and climate, outdoor markings can last anywhere from several days to several weeks. i-Like Chalk Spray colors fade quickly during extended periods of rain, in high traffic areas, and when sprayed on non-porous surfaces such as glass or metal.